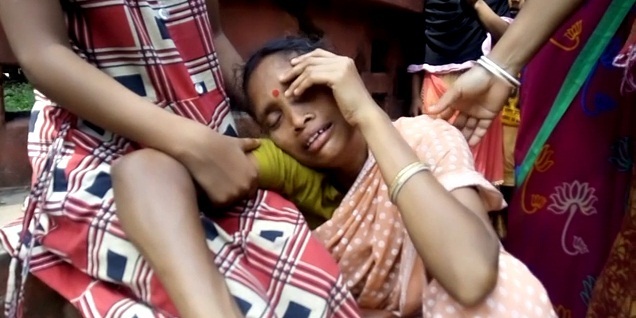 The death of a student at Kadamtala Residential Special Training Centre under Dharmanagar sub-division on Thursday triggered resentment across the state of Tripura. Sadhana Tati, a hostel inmate, was suffering from severe abdominal pain on Wednesday night. Unable to bear the pain she started screaming. Her younger sister who is also an inmate of the hostel informed the matter to the security guard and the warden of the hostel. Hostel warden Sudipta Nath Sharma came to enquire about the health condition of Sadhana but took no initiative to send her to the nearby hospital which is just 50 metre from the hostel. On Thursday morning, when inmates of the hostel tried to wake up Sadhana, she did not respond to their call. She was immediately rushed to Kadamtala hospital where she was declared brought dead. School authorities, GB members, BDO, SDPO, ADM reached the spot after her death. Following the incident, show cause notices were issued to five persons including guard Sanjay, warden Sudipta Nath Sharma, special trainer Mousumi Nath, cook Papri Debnath and Ruma Debnath. Sadhana along with her younger sister joined the hostel on February 28 this year.